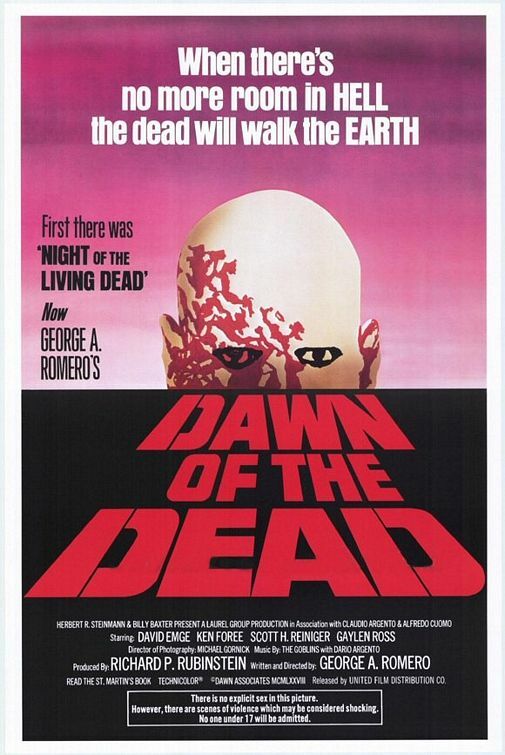 George A Romero’s 1978 movie Dawn of the Dead is considered a horror classic. The dead have dug their way out of their graves and are slowly lurching around as horrific zombies. They’re not quite dead. And not quite alive. When done right, zombies are very, very scary. It seems these days that zombies are very popular. They seem to be every where in books and movies. So much so that they’ve even started invading classic literature. I’m not sure what Jane Austen would think if she was to read Pride and Prejudice and Zombies. Zombies have even found their way into the Christian realm. Professor Farnsworth on Futurama would use the phrase “Sweet Zombie Jesus” as an exclamation. There’s even the Stinque Zombie Bible Project, a website where people are encouraged to go through the Bible and add zombies to people’s favourite verses. For example, John 3:16 now reads For God so loved the world, that he made His Son a zombie, and whoever is bitten by the Son shall also become zombie and be undead everlasting. The resurrection is essential to the Christian faith. It’s the thing that holds everything together. If Jesus did not rise from the dead as a fully alive person, then Christianity is a waste of time. We can’t treat the resurrection like a zombie story. It’s a story where the dead become alive. It’s the story that can bring you life. Check out Matthew 28 and read what really happened on Easter Sunday. Night of the Living Dead Christian…how did we ever become so feared by society? Perhaps it’s an opportunity to talk about what the Resurrection is actually about. It’s not some ‘spiritual’ thing either, where Jesus floated around for a while like a ghost. One could argue that Christians are vampires, but that’s a whole different issue.